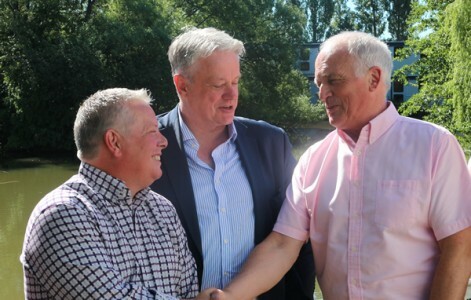 Today we say farewell to long-time Euroclad Business Development Manager Jim Darwen, and wish him all the best for an enjoyable and fulfilling retirement. 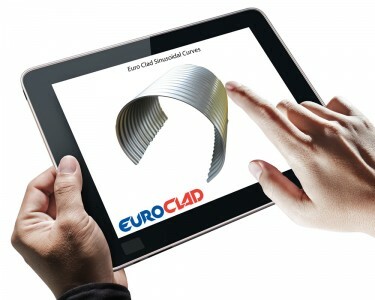 Jim joined Euroclad almost eight years ago and has been instrumental in forging relationships and supply agreements with some of the biggest and best main contractors in the UK. Jim plans on spending the next several months living on his narrow boat with his wife. The UK Roofing Awards took place in London on 15th May 2015 and we were honoured to be awarded a commendation for the standing seam roof installed at Paulton’s Park (Peppa Pig World). Curtis Engineering installed the roofing for the new entrance building, cafeteria and retail area for Paulton’s Park, fixing a standing seam aluminium roof system to curved Glulam timber rafters. The main overall roof featured 3000m2 of Euroseam standing seam aluminium roofing in 1.2mm gauge with ARS coating in RAL 9002. Our standing seam roof systems are available with a system guarantee of 12 or 25 years when installed as an Elite System, which was the case at Paulton’s Park, with the entire roof construction being an Elite 4.12. The Elite System is guaranteed for 12 years and consists of a liner sheet fixed to purlins and a Quattro spacer system consisting of a bar and bracket that create the gap for the thermal insulation. A stainless steel halter fits to the Quattro bar and over this halter the sheet is mechanically fixed. The U-value required on the roof was 0.12 W/m2K, an extremely high level of thermal insulation, which resulted in 420mm of mineral wool insulation. The construction was thermally modelled on software compliant to BS EN 10211/1 and 2, fully taking into account any thermal bridging through the system to achieve the required U-Value. The roof is also inherently quiet with at least 43db of sound reduction. The sinusoidal cladding profile was the very first of its kind, being invented in the 1820s by Henry Robinson Palmer, British architect and engineer to the London Dock Company. Originally made from wrought iron, it proved to be light, strong, corrosion-resistant, and easily transported. It soon became a common construction product across the World, more recently experiencing a renaissance in steel; whether as a fashionable architectural feature or applied more traditionally. Inspired by the increasingly architectural application of sinusoidal profiles we’ve invested in a new production line that can manufacture sheets from Colorcoat HPS200 Ultra® and Colorcoat Prisma® pre-finished steel in a wide range of colours. The investment means that our sinusoidal profiled sheets are of the highest quality, whilst being competitively priced and available on short lead times. To add an extra dimension of design flexibility we have also installed a curving machine dedicated to this profile, which means that smooth-curved sinusoidal sheets can be supplied in lengths of up to 6m with an internal radius as low as half a metre in 0.7mm gauge steel (1.7m radius in 0.5mm gauge steel). Almost 200 years after its invention we’re proud to be able to supply you with our version of this enduring profile; manufactured from high quality steel using advanced rollforming machinery and offering that extra bit of value that we pride ourselves on.